You may have seen or even run in the Ridley Rune recently, but do you know anything about the reason for the run, the Olive Ridley Turtles? 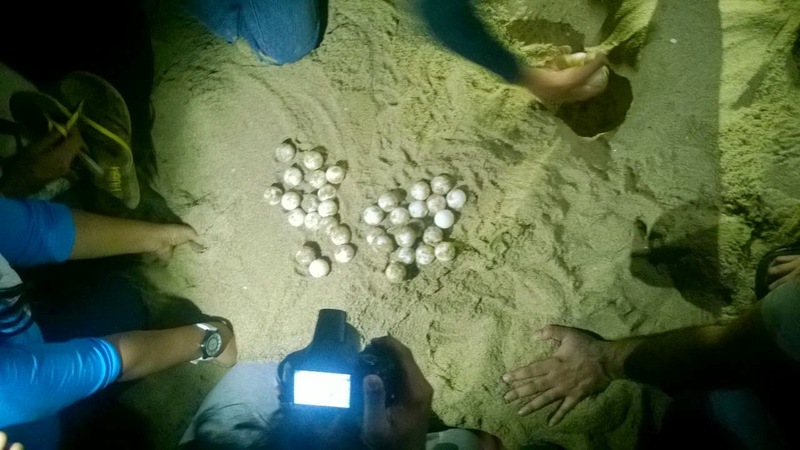 With a desire to learn a little more about the enigmatic Olive Ridleys which traverse great distances to reach the beaches of the East Coast & some pockets of the West Coast of India to make nests and lay eggs, usually in the same place each time a small group landed up in the Neelangarai beach at 11 PM on Saturday night the 21st of February. The small size of the group was necessitated due to the abilities of the organizers the admirable members of the Students Sea Turtle Conservation Network who for over two decades patrol the beach from Neelangarai to Besant Nagar keeping a keen eye out for the nests of the Olive Ridley turtles and safely transport them to nature identical hatcheries for safe incubation and after hatching the hatchlings are safely released into the water. 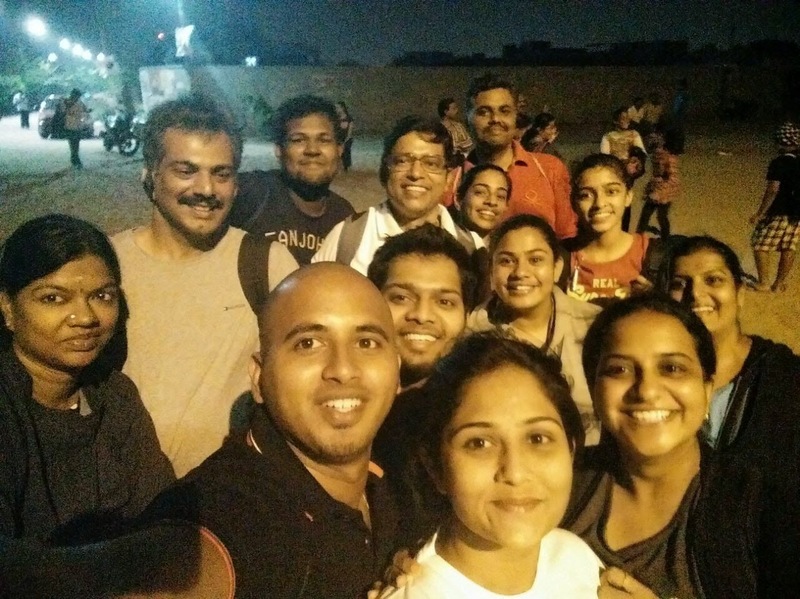 The team of runners from Anna Nagar with friends and family members joined the large group of SSTCN volunteers and members of the general public who had come for the walk that night. It was a pleasant surprise to see a very large turnout of women including students from Stella Maris College led by their faculty members from the department of Zoology in the walk. The group was briefed about the Olive Ridley turtles, the challenges faced by the volunteers in their conservation efforts and the scope of the walk. There was a good question answer session which also covered general environmental issues and how every little bit done towards conservation will help. At 1.30 am the large group of over 150 members set off ten minutes behind the scouts. The scouts with scopes (thin metal tubes) to probe for nests went ahead to study the tracks and identify the nests for the untrained visitors like us. 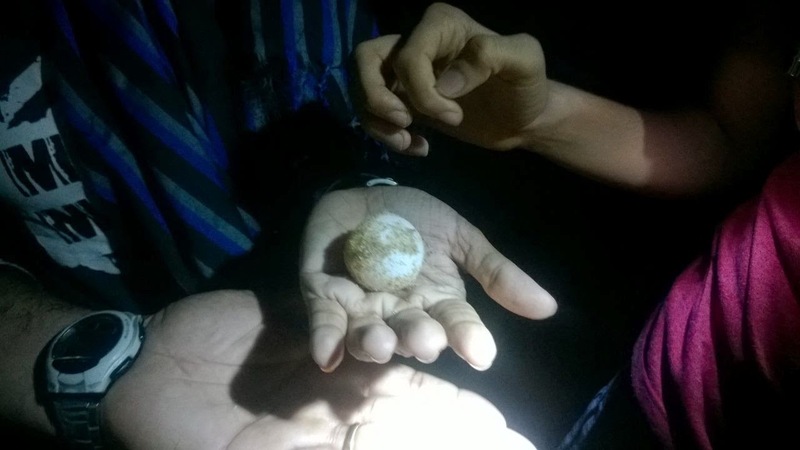 We saw a couple of nests and handling the rubbery eggs of the turtles was a novel experience for many. During the walk we also saw some barnacles and many crabs, the happiness was muted when we saw the carcasses of two turtles that had been washed up on the shore. 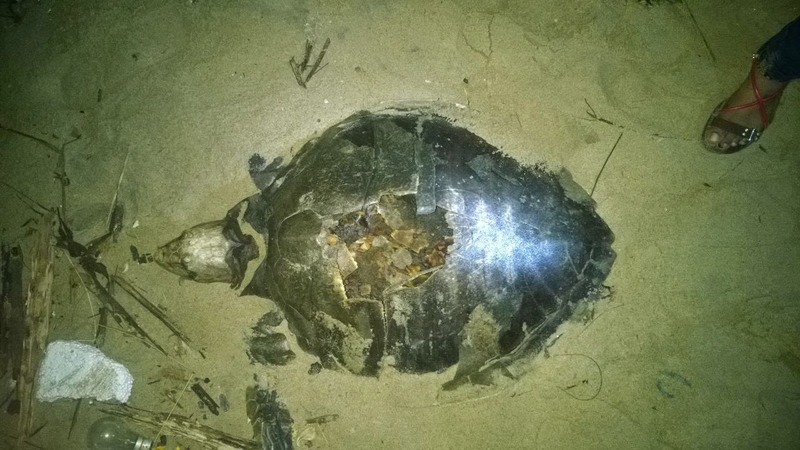 This year due to industrial fishing that is fishing by large mechanized trawlers over 270 turtles have been killed in this part of the shore alone. There was a break of half an hour at 3am when the turtle walkers lazed out on the beach and chatted among themselves. 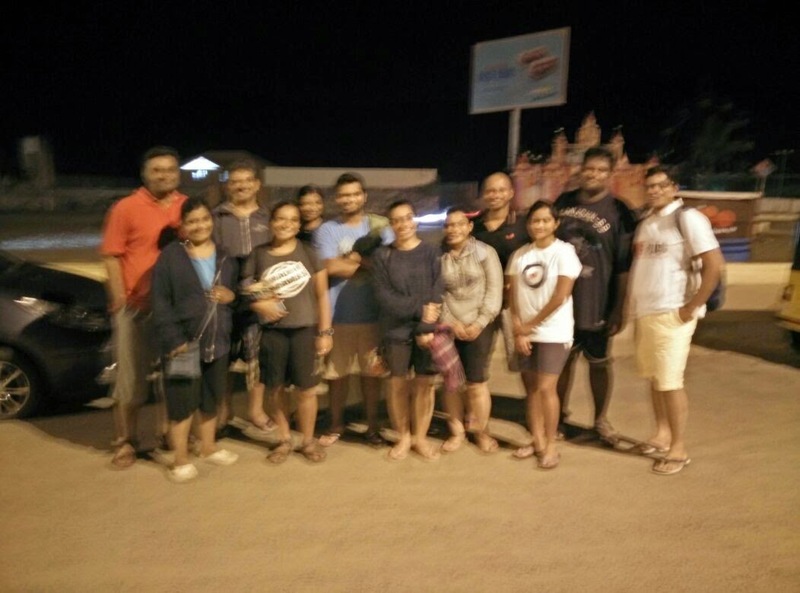 For many it was a first time, conversations with friends on the beach at 3am. 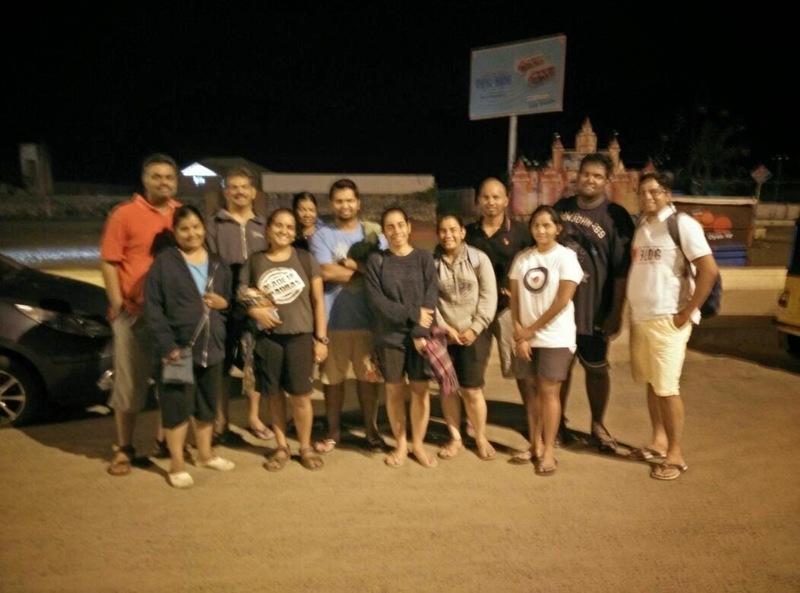 After the short break the group set off towards Besant Nagar which was reached by 4.20am where the group separated into two. One group proceeded onwards toward the hatchery while others including us went back to our cars. At the end of the maiden turtle walk for most of us, we knew a little more about the turtles and the risks they face. The turtle walk was a wonderful experience and must be in the list of Top things to do in our wonderful city; this was the first for many of us but it certainly will not be the last.